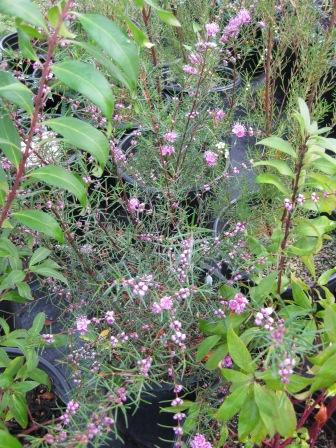 Ornamental, small shrub 3-5' with small narrow leaves and profuse purple-pink flowers in spring. 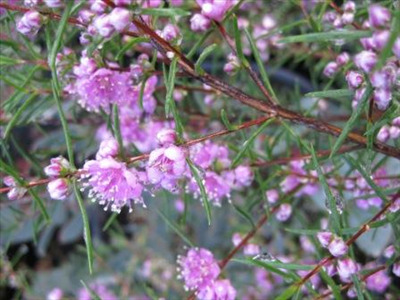 Prefers well drained soils in full sun or partial shade. Hardy to moderate frosts and extended dry periods. Grown commercially for cut flower production. Attracts butterflies. Prone to yellowing in alkaline soils so needs to be planted with soil sulphur.